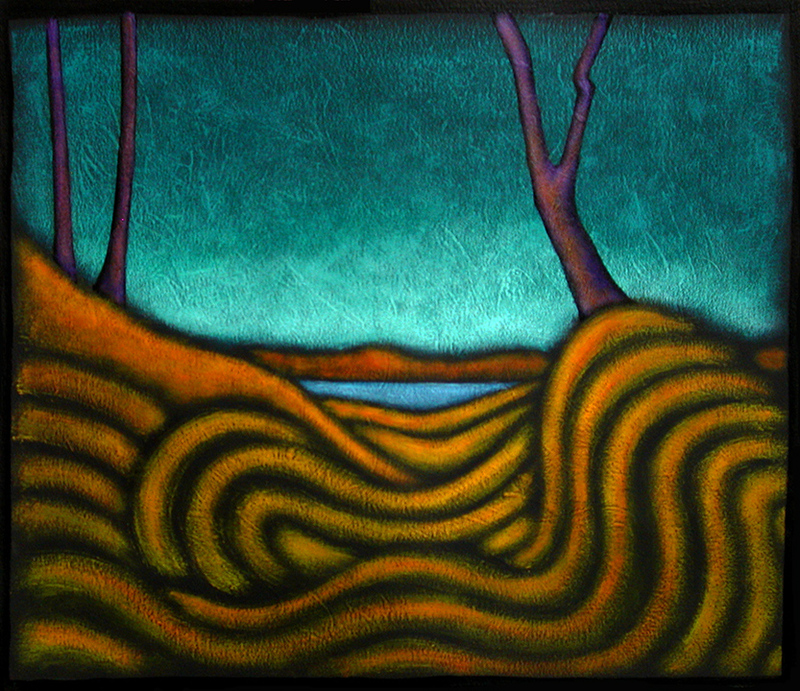 This is a painting, Sleepwalk, from back in 2002. It is part of what I call my Dark Work which was when I first began working on a black painted surface. The idea was to make the blackness part of the painting, to give the painting the darkness against which I could set the contrast of the light. Like the poet Charles Bukowski says above, I felt that in order to be honest as an artist I had to incorporate my own darkness in my work. Utilizing the darkness kept the perceived optimism of the work from wandering into the territory of cockeyed Pollyanna-ism. It provided contrast in the form of a sense of reality, a basis for validating the optimism of the light and the color. Light needs dark, plain and simple. The Dark Work was very important for me and I continue to paint using the same process and techniques I developed in that time. This particular piece has lived with me for many years now and I love pulling it out to study it from time to time. There always seems to be something new to focus on. A brushstroke. A section of the texture. The transition of one color into another. It provides lessons that memory has long forgotten as I continue my own sleepwalk through this life. That ground really is fascinating. It’s like your archaeology series, but without the artifacts. Out of curiosity, which came first? This predated the Archaeology series by about 6 or 7 years.